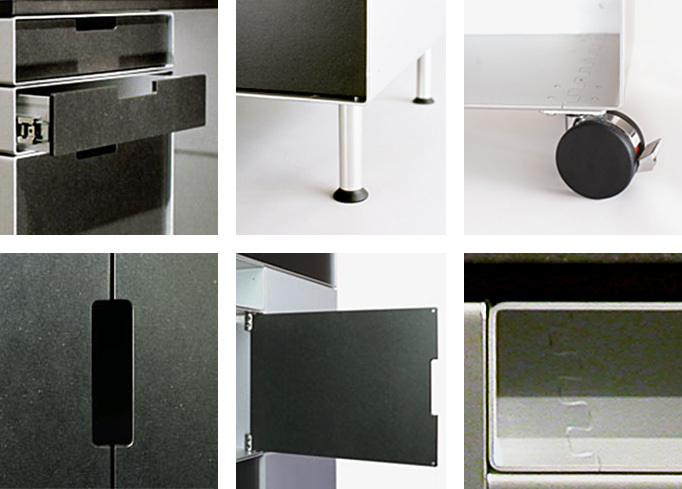 The basic 9 cm module of the anodized elements may be freely combined, set up side-by-side, stacked or mounted to the wall. 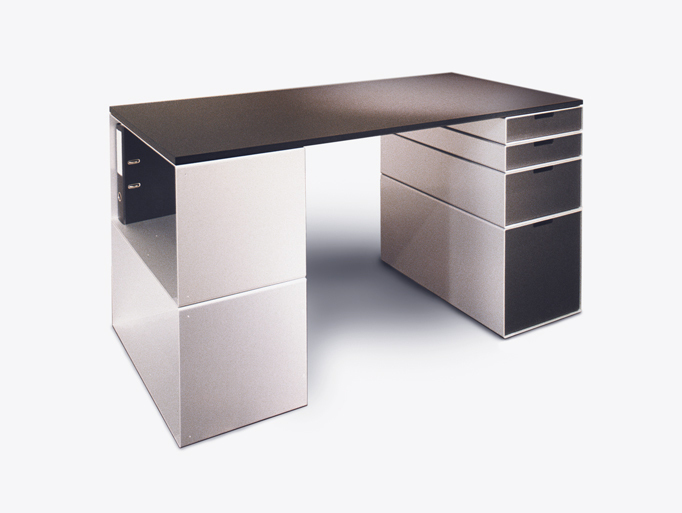 The drawers, doors and table tops are available in sleek black or may be customized with colour. Design your own furniture using the Design Sheet found under Price Lists or use a piece of graph paper (one square = 9 cm). If you are in the market for a sideboard, a room divider, a chest of drawers, a work table, a wardrode, or a container on wheels, let your creavitity run wild.